Drag-and-drop a file having an ics, vcs, txt, csv, xls, xlsx, or xlsm extension into the main window. Double-click an ics file in Windows Explorer. 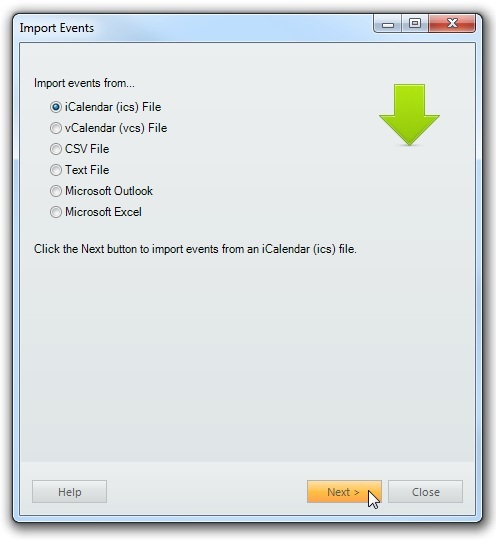 Events can be imported by clicking the "Import Events" command on the File menu. Files can also be dragged-and-dropped into the main window to initiate importing.